Going solar? More power to you! If you’re thinking of going solar for domestic or commercial power generation, it pays to know as much as you can before you commit. The good news is, it’s a terrific time to go solar, and as long as you get the right system it should serve you well for years to come. So why is now a good time to go solar? 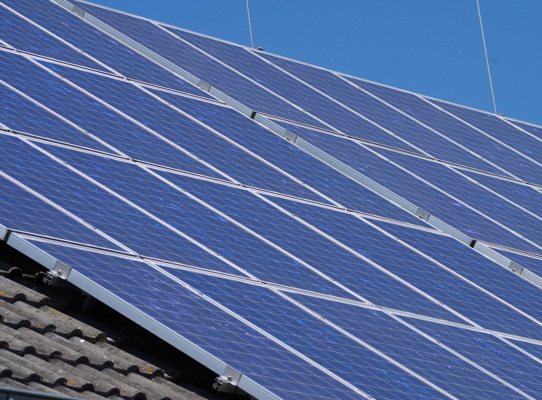 Government incentives – the government will contribute to the cost of buying and installing your solar system. For example, if you install a 5kw PV (photovoltaic) system in Perth today, you could be eligible for 103 ‘Small-scale Technology Certificates’ (STCs), and the government pays you $40 for each one. That means you could collect $4120 on installation, which could be up to half the cost of the system or more. Increased efficiency – solar electricity generation is more efficient than ever, with photovoltaic cells having up to 22% efficiency, and inverters (which convert the Direct Current [DC] elelctricity produced by the solar array to usable AC elelctricity) at up to 97% efficiency. Battery storage systems – the most exciting news in the solar energy field these days is the advent of batteries, which charge using solar generated electricity, or can even charge using off-peak electricity, and deliver it at much lower cost overnight or in peak periods. A battery storage system may even allow some users to go completely “off grid”. Sell excess electricity – although buy-back rates have fallen, in Perth Synergy will pay you 7.135 cents per kiloWatt hour (kWhr) for your excess electricity. It’s advisable to maximise use of your solar generated electricity (by running devices like pool filters and cleaners, washing machines and air conditioners) while it’s being generated, but anything you can claw back from your electricity provider is a bonus. ABS (Acrylnitrile-butadiene-styrene) plastic does not handle UV exposure well at all – always choose polycarbonate enclosures at a minimum. All metal-work should be stainless steel (316 SS grade is excellent where higher acid levels exist, and 316SS is generally accepted as well performing in coastal areas, due to its molybdenum content, however the cost is higher so check local conditions carefully. Duplex stainless steel is also now in use as it is able to be made with less weight and has similar corrosion resistances to 316 or 304) or high grade aluminium. Select your grade to suit your environment – expert help is probably a good idea here. The isolators selected should be able to isolate the high voltage DC output of the arrays for the whole life of the system. These are exposed to the weather with the array, so it’s important that the device installed is able to withstand the elements. Flooded buildings can become “live” and therefore an electrocution hazard to workers, so the isolation configuration is critical. It may cost more to install a high quality / high efficiency inverter, but these will last longer and produce more power per sunlight hour, so the extra cost is worth it. When choosing cabling, bigger is usually better, but within reason to minimise the loss of power due to resistance. Remember, the cables will be exposed to the elements, so choose quality and you won’t have to replace as often or as early. Schools and accommodation with solar hybrid battery systems, solar powered pumping systems, and even solar powered communications throughout Arnhem Land. Street lighting powered by solar at locations throughout Darwin. The best advice we can give you is to get experienced, professional help when you’re thinking of ‘going solar’. Doing it right the first time will save you a lot of drama, cost and, in the long run, money. Talk to Phil at PRF Electrical when you’re ready.